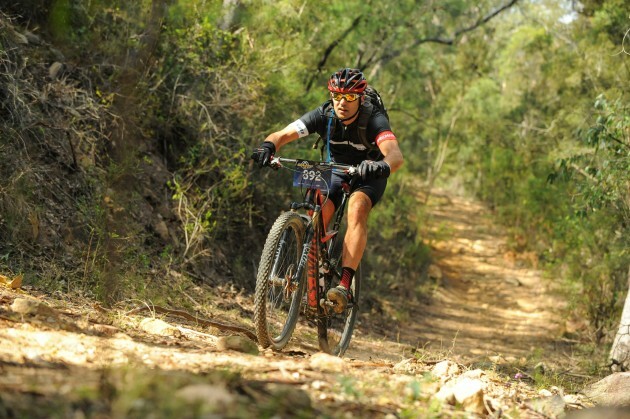 Have you experienced the iconic Convict 100 mountain bike race? Thought about signing up in the past but never got around to it? Haven’t done a proper large scale mountain bike event before but thinking you should? If so make 2017 your year to experience a real mountain bike adventure. The Convict 100 harks back to the age of the 26″ wheel, where riders don’t shave their legs, where the course isn’t some groomed super smooth cruise, where you don’t just complete endless loops of the same small stretch of track over and over and over again. This is mountain biking at it’s purest, on trails carved from the earth by convicts many moons ago, on a course that is a journey, taking you out into the wild. Letting you capture the feeling of having experienced something truly special when you finally return to the finish line in St Albans after completing the 44, 68 or 100km course. Sure, there are challenges awaiting all riders, hills to climb, rocky sections to negotiate, but you need them to earn the smile that will be spread wide as you tackle the down hill runs and take in the stunning views over the MacDonald Valley and beyond. The infamous kayak bridge will be there as well, waiting to catch out the unwary but revamped in recent years to make access easier so everyone can stay on the bike…hopefully. It’s not only the riding that makes the Convict 100 such an experience. It’s the feeling of being surrounded by hundreds of fellow riders, all facing the same journey. It’s seeing the sleepy little community of St Albans transformed into the centre of Australian mountain biking for one weekend of the year. Of swapping tales of triumph and past tragedies with fellow riders in the front bar of the Settlers Arms Inn, the third oldest pub in NSW. Those wanting the full experience come up on the Friday, pitch a tent alongside the river, catch up with old riding buddies and make some new ones. St Albans is still close enough to Sydney to make travelling up on event morning possible for those that enjoy the comfort of their own bed the night before a race. Entries are open in all 3 course distances (44km, 68km, and 100km). Event day is fast approaching so now is the time to sign up and prepare to experience an iconic mountain biking event!